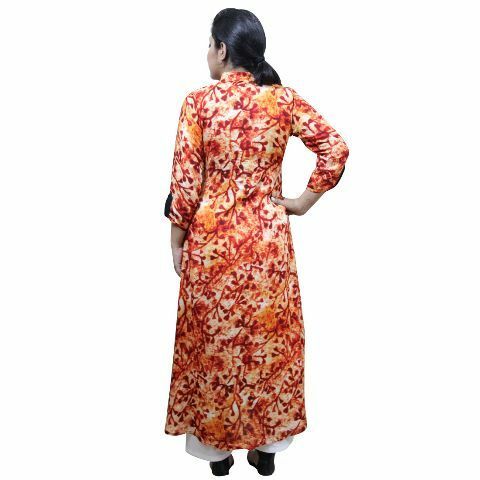 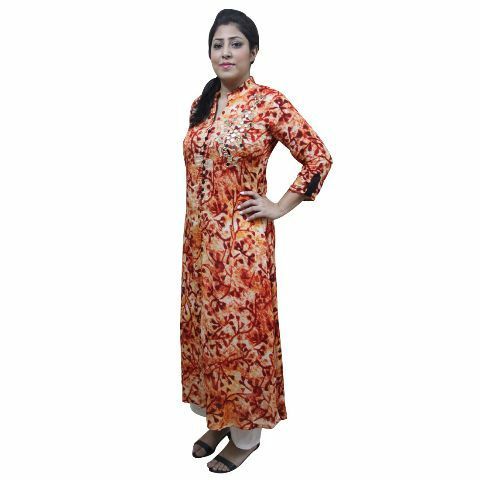 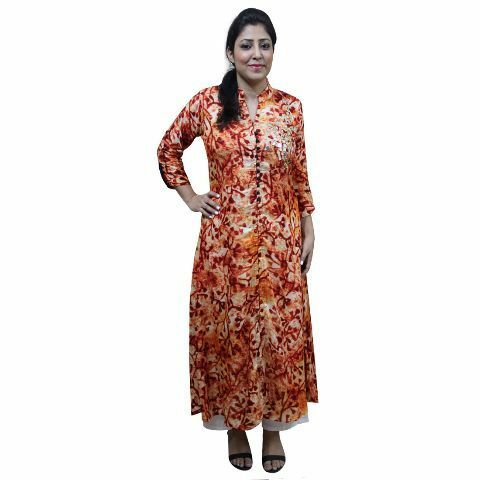 Get set & go with this amazingly comfortable and stylish kurti from CrazeVilla. Breathable fabric and enough scope for mobility makes this collection a worthy choice for any occasion or everyday. 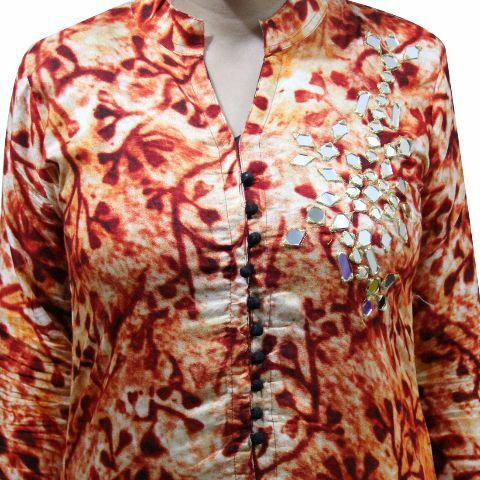 This staright kurti comes with mirror work with zari thread at left side and has a slit in niddle.